June 30 Anniversary is a public holiday in Egypt that commemorates the 2013 Egyptian coup d'état. It was established to commemorate demonstrations that led to the overthrow of President Mohamed Morsi. Mohamed Morsi served as the fifth President of Egypt. He won the 2012 presidential election and was sworn into office on June 30, 2012. Several months later, he issued a temporary constitutional declaration that deprived courts of the right to dissolve the Constitutional Assembly and the upper house of the parliament. The declaration in effect granted Morsi unlimited powers. Naturally, the president’s actions were met with resentment from opposition politicians who accused Morsi of restoring the dictatorship, and eventually led to mass protests that took place between November 2012 and July 2013. The protests reached their peak on June 30, 2013, the first anniversary of Morsi’s presidential inauguration. After three days of anti-Morsi demonstrations, the police, army, and the majority of the government ministers joined the opposition. Morsi was ousted in a coup led by General Abdel Fattah el-Sisi, Commander-in-Chief of the Armed Forces and Minister of Defense. On July 3, Morsi was removed from office and imprisoned. Following the coup, president of the Supreme Constitutional Court Adly Mansour was named interim President of Egypt. He did not run for presidency in the subsequent election, which was won by Sisi. 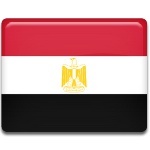 In 2013, the government of Egypt declared the anniversary of the June 30 protests a public holiday. On this day, the incumbent President of Egypt addresses the nation in a speech.